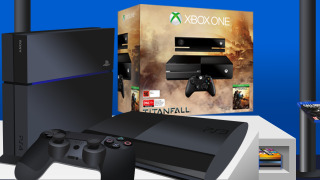 Can the PlayStation 4 still dominate a cheaper, Titanfall-boosted Xbox One? Will Titanfall be the next-gen game changer? Don Mattrick may have walked out on Microsoft during the height of the Xbox One PR crisis last year, but his old adage appears to have stuck around. Back in 2008, when life as head of the Xbox division was a little more straightforward, Mattrick had this to offer: "History has shown us that the first company to reach 10 million in console sales wins the generation battle". While it's debatable that a 10 million sales milestone is any less arbitrary than nine or 20 million, Mattrick was arguing how vital it is to rapidly amass an audience. Here's the immediate problem for Microsoft: The PlayStation 4 is surging towards that ten million milestone. Since November it has sold more than five million units (not taking into account business from Japan, where the system launched last Friday), and in the UK it has doubled Xbox One's sales since January. "Despite effectively taking a £70 hit on each new console sold, Microsoft is determined to not lose sight of PS4"
Sony's unrivaled momentum appears to have struck a nerve. Just three months since launch, Microsoft has reduced the Xbox One RRP to £399 in the UK. Meanwhile, globally it will bundle a free copy of Titanfall with each new console "while stocks last". This panic-button solution is not what Microsoft originally intended, but the Xbox manufacturer has always carried a reputation for its fast thinking and sudden strategic shifts in the console space. The intention is clear; despite effectively taking a £70 hit on each new console sold, Microsoft is determined to not lose sight of PS4. The question is whether this will be enough. Don Mattrick's theory goes that, once a console reaches a certain threshold of customers, the machine will take off. Early adopters encourage their friends to own the same console, and in turn, friends of early adopters tell their friends to do the same. Which console will hit critical mass first? Soon an entire network of customers is cultivated from word-of-mouth recommendations. This is when a console truly begins to sell more effectively, accelerating faster than any marketing blitz could empower. Family and friends who pay a visit will spot the new toy under the TV, and eventually notice the same model in other homes too. With a big enough installed base, soon it almost feels counter-intuitive to buy an alternative system. Though an industry dominated by rules of conformity comes with its own unpleasant consequences (all-encompassing homogeneity, for a start) the games industry is nevertheless indebted to its trends, which publishers will follow and push to their furthest limits. That's essentially why the console business fluctuates between the extremes of enormous success and titanic failure. Xbox 360 didn't just outsell the PS3, it outsold it for 32 consecutive months across North America. PS2 didn't just win the market, it trebled sales of all three of its competitors combined. Dreamcast didn't just sink, it sunk Sega's hardware division. The Wii was a phenomenon and the Wii U is considered a disaster. The list goes on. "PlayStation 4 carries an enviable momentum, but its barren games release list over the next few months is an obvious issue"
How a console is entombed in history depends quite a lot on how quickly it can amass an audience in its debut year. That's why I believe the Xbox One price cut and Titanfall bundle is far bigger news than it initially appears. PlayStation 4 carries an enviable momentum, but its barren games release list over the next few months is an obvious issue. The burden rests on the shoulders of Infamous: Second Son, a PS4 exclusive released on March 21, and personally I doubt it will steal the thunder of Titanfall – a remarkable Xbox and PC shooter that will dominate the discussion over the next few months. At this rate it is hard to imagine PS4 not reaching Mattrick's milestone first. It remains the superior hardware, still at a cheaper price, and demand continues to exhaust supply. But Microsoft's aggressive retail strategies and flagship game will close that gap. Let's not forget that the Xbox team tends to move far quicker than Sony, and if they see an opportunity to seize the moment, however expensive it may be, they'll absolutely make that call. Year one is going to be immensely close. This time, and the race might need to go beyond ten million.